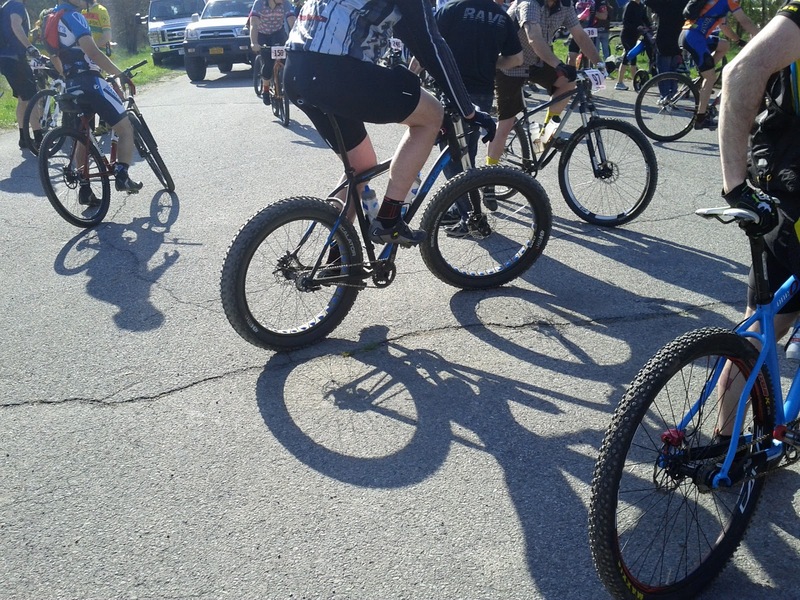 There is a racing class at Singlespeed A-Palooza, the Fat Bike! While most are rigid, there were a few with front suspension and from what I hear that tend to be on the heavy side. They were quite the rage this winter and all the custom builders are making them. Hell, one could it has already jumped the shark because there is even a Walgoose version (no thanks). But when they come flying by you it sounds like a freight train! I don't think one is in my future. When it snows, I want to enjoy the snow the old fashioned way. Still, they do look pretty cool.